La Fonda del Mar at Buzzard's is the perfect peaceful alternative to the busy Los Cabos party scene. Environmentally friendly and totally solar powered, each of the three palapa (palm-roofed) casitas is tucked away in the garden patio of this property. There is one suite on the property that features double the space of a regular cabana, a private shower and pull out sofa. Please use our Reservations Form to inquire about bed & breakfast reservations. All room prices include breakfast for two from the Buzzard's regular breakfast menu during regular breakfast hours. Please note: The restaurant closes at 2:00 p.m. on Sundays. There is no food or bar service after closing on Sundays. Features garden views, one queen-sized bed, a private half-bath with a toilet and sink, and a ceiling fan. Shower facilities for Cabana 1 are shared with two other cabanas. 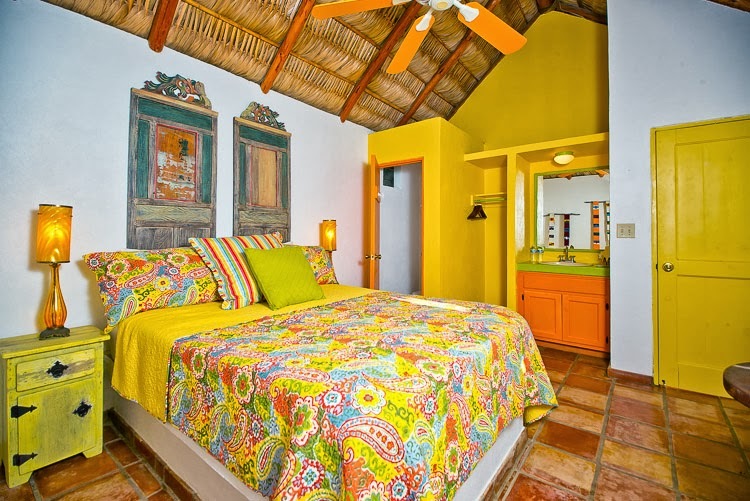 Rate is $100 USD per night for two guests, plus a local tax, for a total of $120 USD per night. Rate includes breakfast for two from the Buzzard's breakfast menu during regular breakfast hours. Features garden views, one queen-sized bed, a private half-bath with a toilet and sink, and a ceiling fan. Shower facilities for Cabana 2 are shared with two other cabanas. 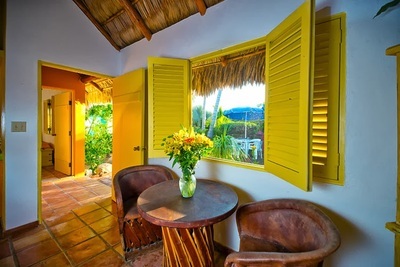 Rate is $100 USD per night for two guests, plus a local tax, for a total of $120 USD per night. Features garden views, two double beds, a private half-bath with a toilet and sink, and a ceiling fan. Shower facilities for Cabana 3 are shared with two other cabanas. Rate is $100 USD per night for two guests, plus a local tax, for a total of $120 USD per night. Nightly rate for a third guest in Cabana 3 is $20.00. 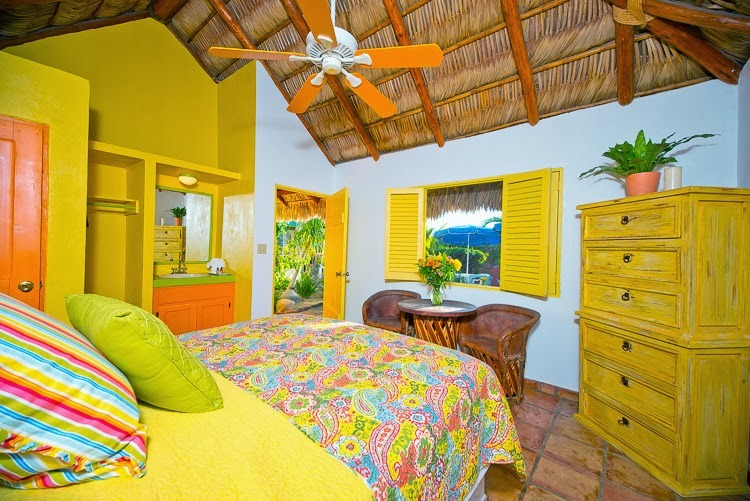 Suite 4 is twice the size of a cabana, and features one queen-sized bed, a pull out sofa (suitable for a child), ceiling fan, and a private bathroom including a shower. Rates for the suite are $120 USD per night for two guests, plus a local tax, for a total of $140 per night. Nightly rate for an extra guest is $20 USD.